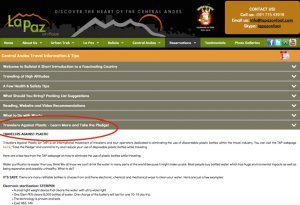 Homepage » Member News » La Paz on Foot Takes the TAP Pledge! La Paz on Foot Takes the TAP Pledge! 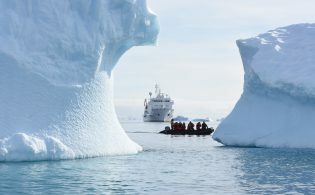 In an effort to help clean up Andean landscapes and improve its performance on environmental impacts, La Paz on Foot has taken the Traveller’s Against Plastic pledge. 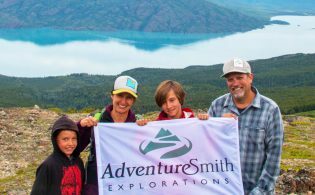 The pledge initiates a long-term commitment to finding ways to reduce and eventually eliminate the use of plastic bottles in La Paz on Foot’s programs in the Central Andes region. 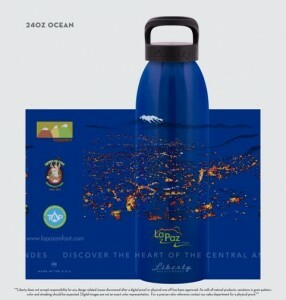 As a first step, La Paz on Foot has added information about alternatives to buying disposable bottles to its popular Travel Information section on the company’s website and has collaborated with ATTA member Liberty Bottles on a refillable water bottle featuring unique artwork that highlights Illimani, the sacred mountain of La Paz and an important source of water for the region. 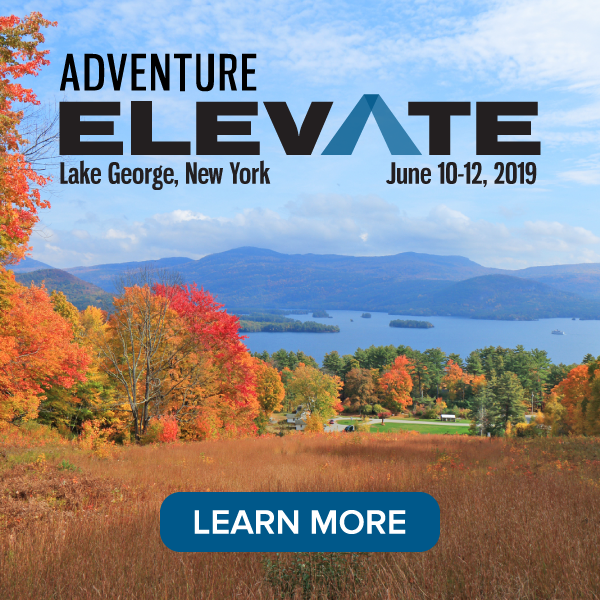 Next steps for their efforts include training for guides on how to explain to clients the alternative to using disposable bottles in a non-threatening way and including the Liberty bottle as a standard item in longer tours.